H6cm x W8cm (excluding hanging loop). 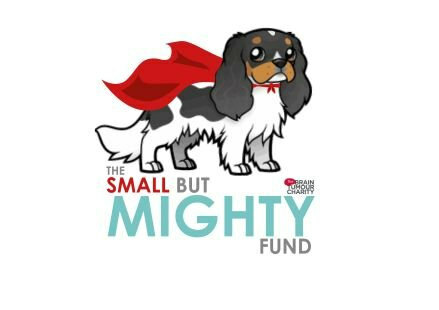 Maisie the Mighty is the mascot from The Small But Mighty Fund who raise money for The Brain Tumour Charity. 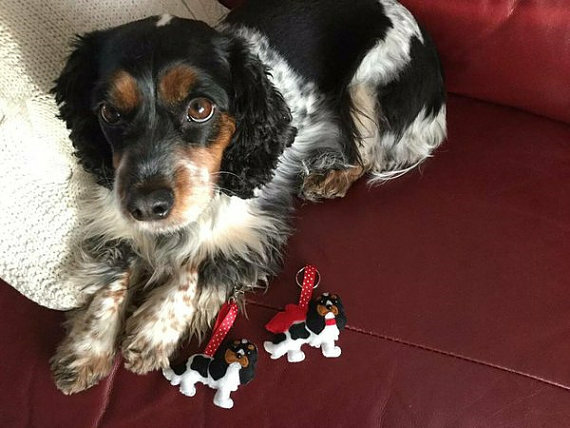 Maisie is a real life little dog belonging to Charity founder Amy & she set up this charity as sadly her dad passed away from this condition in 2015. Hand sewn by me after a request from Amy a *Donation of £1.50* from each sale will be going to the charity. And in time you will be able to buy them directly from Amy herself. 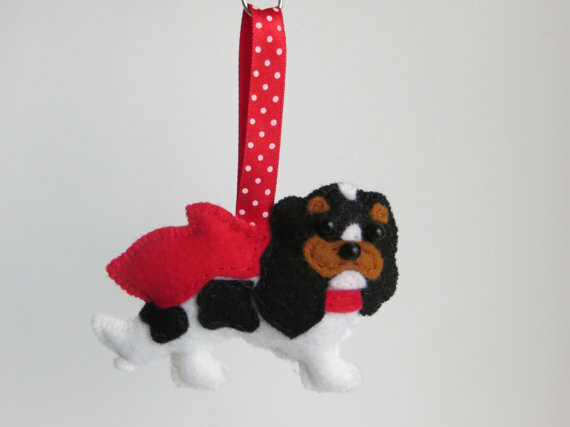 Made of felt and filled with polyester stuffing, Maisie is a Cockalier or Tri Colour King Charles Cavalier-Cocker Spaniel dog with a red cape. 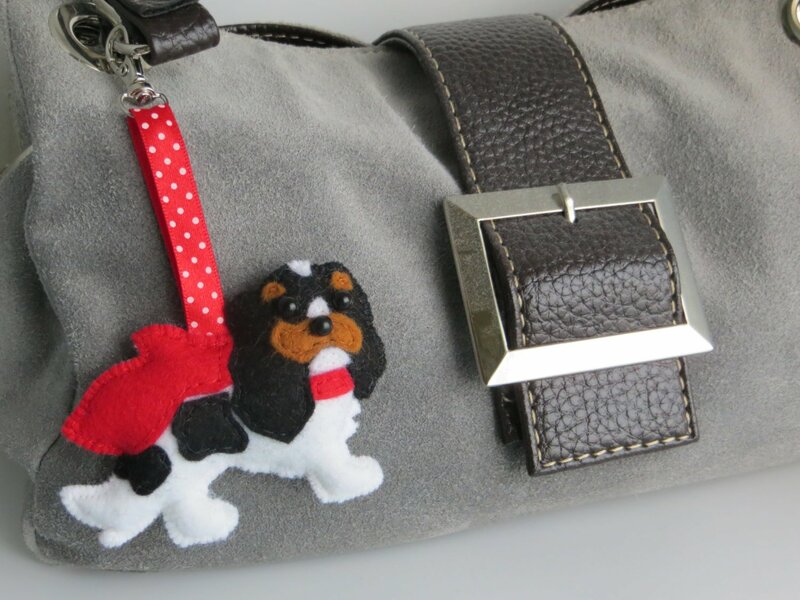 Black beads are used for the eyes and nose details and a co-ordinating red spotty ribbon holds the bag charm silver metal attachment. 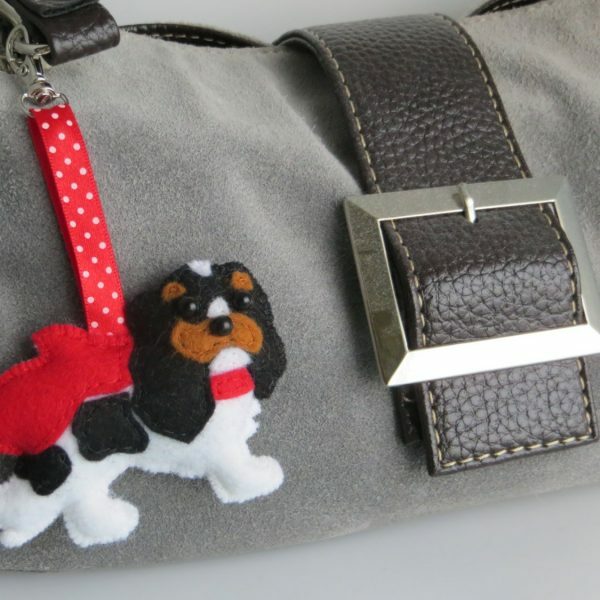 Available as an un-caped Maisie in a keyring design. Detailing to one side ONLY.